Jules Urbach and Matthew Gratzner are the two guys leading the cause for a Gaiking movie. They first came on the project when the idea was to put a short together for the upcoming "Heavy Metal" movie. Urbach being a super fan of Gaiking and Toei animation, he jumped at the opportunity. As the duo began working, the project began to grow and grow illustrating that this project should be developed as a full length movie and not just a short. At this point we should all High Five someone close to us, if you're alone, just do the motion (it will feel great). 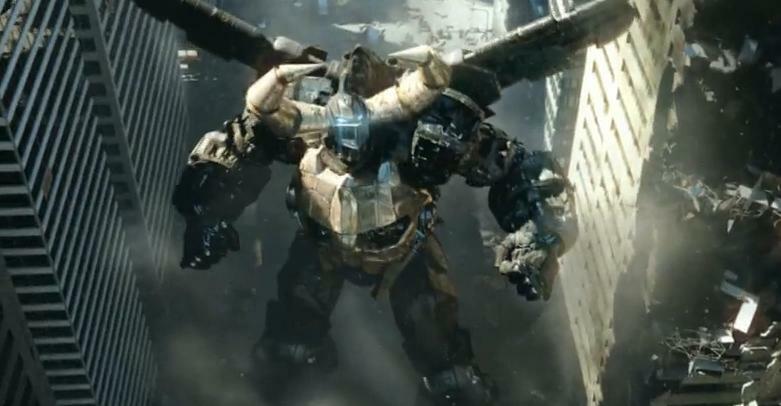 I mean we are gonna get Giant Effing Robots from fans of the source material. Unlike Michael Bay and his destruction of the Transformers franchise. This brings us to the teaser trailer that Urbach and Gratzner created. The trailer itself features zero footage from the actual movie. Much like the Tron footage that was shown at the 2008 Comic Con, the Gaiking teaser is just test footage to get people excited and buzz flowing. And boy does this footage ever get me excited. Seriously awesome stuff. See it for yourself below. Okay now that you've seen the teaser, you either are excited for more news on the "Gaiking" feature film or have moved on to something less techy. Those of you who are excited, you'll want to read on. Jules Urbach tells Heat Vision the difference between Gaiking and those other robots we've seen Michael Bay bring to the big screen. "Gaiking and those kinds of robots, you're talking about giant robots that are piloted by humans. You're not talking about Transformers, where they are their own characters. These robots are the extension of the pilots; they are really like giant suits of armor. So it's really the people inside them that are the characters. That is a huge differentiator," he said. One thing that is absolutely cool about the giant robots being piloted by humans is that Urbach intends to make full scale robots to be utilized in the movie. Sure there will be CGI, but there will also be 1:1 scale robots. I am a epic fan of practical props and have grown tired of CGI's dominance in recent years. So learning that the "Gaiking" will use both tickles me immensely. Speaking of CGI the movie will utilize Lightstage. The technology that won The Curious Case of Benjamin Button an Academy Award. This will allow the production team to scan in the full size robots into their computers for manipulation. One of the big questions about Gaiking is how it will be received here in the U.S. America never really got a legitimate run of the series. 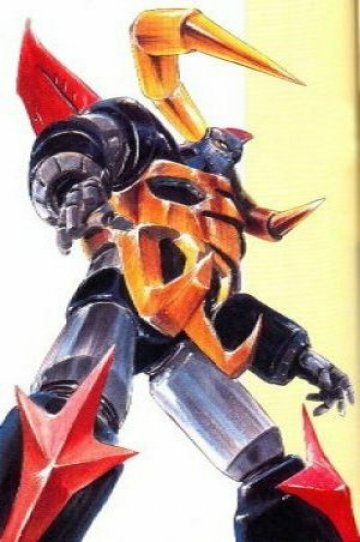 Marvel comics did have a short lived comic titled Shogun Warriors that featured multiple super mecha robots, but it is very unlikely that the first film will feature a group of robots. Urbach explained by saying, "We wanted to introduce one robot and thought it should be the focus of the film. It's like you want to introduce Superman before you introduce the Justice League, right?" The production team is unsure on exactly what to title the movie, fearing a "Gaiking" title alone may not warrant box office success. This notion ties into Hollywood's fear of making non-franchise movies. The odd thing is Gaiking is a franchise, just it was not effective here in the U.S. Gaiking was huge in Europe as well as Japan, so there is no doubt the movie will make money overseas.